Koh Tao’s original childcare service. This family run daycare was established in 2008 by long term locals Bree and Gigi Kennedy. Attending to the needs of local expat, Thai and Burmese children. 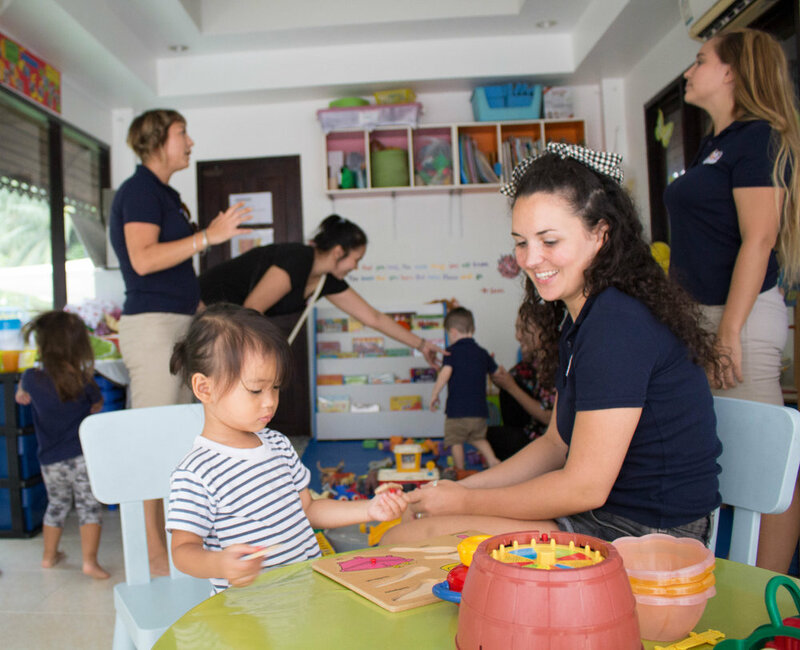 Situated in the heart of Sairee beach, Koh Tao, Thailand, this wonderful daycare setting uses Early years curriculum to educate children ages 0-7 years old. This daycare service also caters to the needs of diving parents and holiday makers and offer early morning and late drop off service as well as out of hours babysitting. 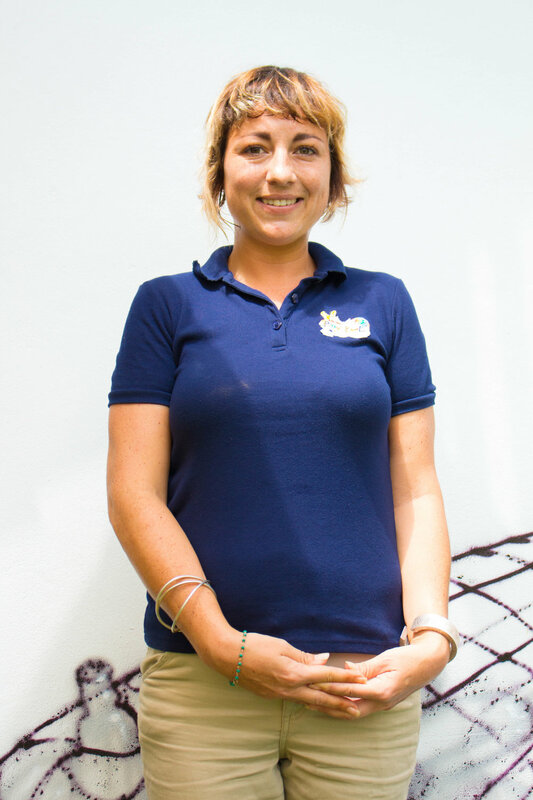 Family-run since 2008, Koh Tao Playskool represents the finest childcare on the island. Our founders have over 20yrs experience in managing international schools worldwide. At Koh Tao Playskool our toddler and baby room is a fun and safe environment for the little ones to explore. The room is decorated following our termly themes with brightly coloured windows and walls. We accept children from as young as 6 months and children usually move on to our reception class just before their 4th birthday. We usually only have a few babies at a time, so they receive high quality care from our staff. 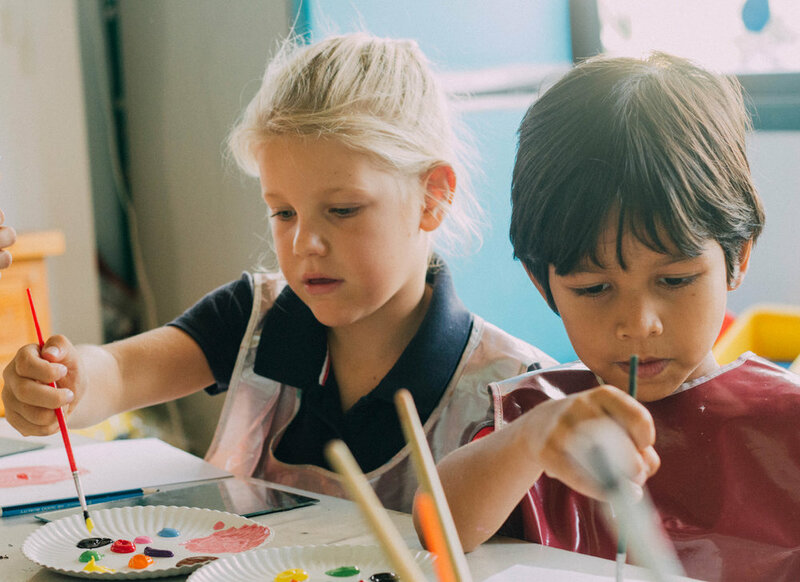 This allows them to create special bonds and means the staff can get to know each child on a better level and attend to their individual needs. Our reception classroom is a very busy and exciting place to be at Koh Tao Playskool. It is our most spacious classroom and it is decorated following our termly themes. The walls are often full of colourful vibrancy creating a fun exciting, and safe environment to be in. This class has 13 full-time students in it ranging from the ages of 4 years to 5 years old. The benefit of having this many students is that the teacher gets more one on one time with each child, developing a strong bond, and gathering evidence to enable appropriate targets to be set to allow each child to reach their full potential. Early morning drop off’s and late pick up are expected at the Koh Tao Playskool as we are used to the diving schedules here. Children, toddlers and babies can be dropped off as early as 5.45am and will be provided with a cooked breakfast and free play until they begin their regular day in the daycare. Why not book in for a spa day or go out for a romantic dinner knowing your children will be in safe hands. Our trained staff can come out to your hotel and look after your children during the day or at night. Advanced bookings only and subject to availability. We offer afterschool support to all our graduate students so they can maintain their English literacy skills as well as English lesson for students from the Thai school. Please check with Miss Olivia to see availablity in the schedule and book your regular place.